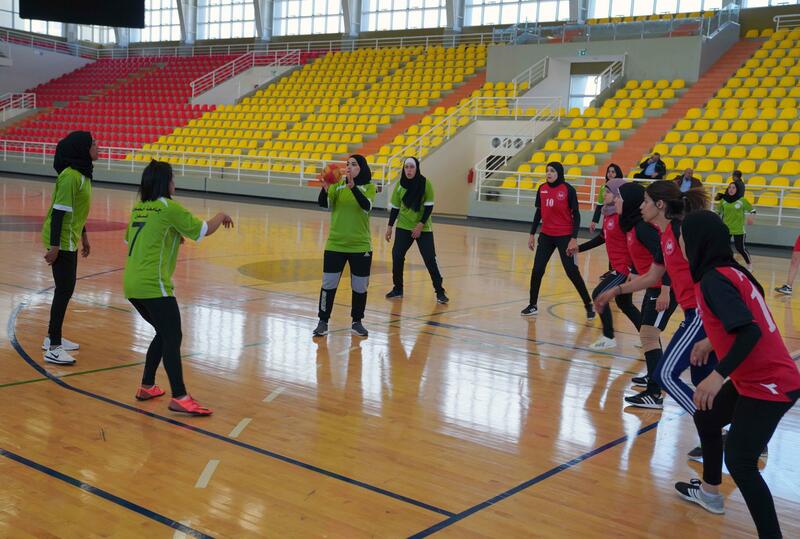 The sports hall at the university hosted the female handball championship for Palestinian universities organized by the Palestinian Union for University Sports, with the participation of four universities: AAUP, Al- Khadouri, AL-Najah and Hebron. Mr. Hassan Nassif, head of the Competitions Committee at the Palestinian Union for University Sports and the supervisor of sports activities at Arab American University, said that this championship is part of the unions activities in the second semester of 2019. That aims to enhance the cooperation among universities in the field of sports. Mr. Nassif said that the championship, which was approved through the half-league system, was held in partnership with the School Sports Union in the Ministry of Education and Higher Education, which provided the judges and thanked Arab American University and the Sports Facilities Administration for providing all logistical requirements for the success of this championship.